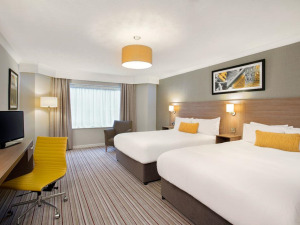 Jurys Inn Hinckley Island01455 631122work HotelThis family friendly hotel, part of Jurys Inn Group, provides the facilities and service you would expect from a Jurys hotel; FREE PARKING, FREE WIFI, great choices for dining with a Piazza Lounge, contemporary Triumph Bar plus Marco Pierre White Steakhouse & Grill to choose from. Children’s meals, high chairs and cots are provided all year round. 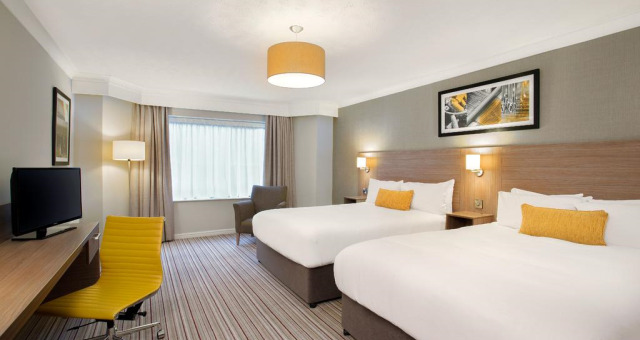 All of our executive family rooms consist of 2 double beds. DUE TO LIMITED AVAILABILITY WE CAN ONLY OFFER EXTRA BEDS TO FAMILIES WITH MORE THAN 2 CHILDREN AT PEAK TIMES. Please state on your booking if you wish to request a cot.